Certification & Education: cosmetic surgeon and plastic surgeon. Years of experience and number of successful surgeries: more than 15 years of experience and 20000 successful surgeries. Specialties: Blepharoplasty, Face Lift, Rhinoplasty, Lip Implant, Cheek & Chin Implant, Abdominoplasty, Laser Lipolysis & Liposuction, Fat Transfer & Fillers, Botox, Mammoplasty, Mastopexy, Implant, Obesity, cosmetic surgery, restorative surgery. Dr. Sharifian studied cosmetic surgery with Professor Pierre Fournier in Paris, and then worked for several years in Dubai as cosmetic surgeon. He is currently inhabited in Tehran and is always invited to perform surgery in middle eastern hospitals alongside of iranian hospitals. Dr. Hamid Sharifian earned the specialized surgical board (SBU)and also the American Beauty Surgery Board (ID) he is the diplomat of the International Bureau of Surgery (London). 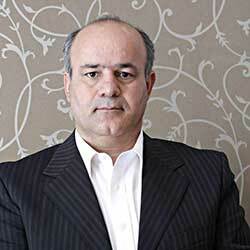 Dr. Sharifian is a member of the American Academy of Cosmetic Surgery, the European Academy of Cosmetic Surgery, and is the permanent member of the Italian Beauty Association, as well as having many years of experience in the field of cosmetic surgeries as one of the renowned surgeons in the Middle East.